In order to understand how to live a Christian life pleasing to God, one must first know what His Word says. The Biblical Path of Life is a study designed to help anyone understand how simply yet intricately the Bible is put together. 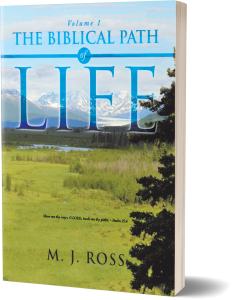 M. J. Ross taught the Bible for many years and learned that there were many people who didn’t understand God’s Word. This realization was the basis for organizing The Biblical Path of Life into a Bible study. After using this study to teach the Bible, many hearts and lives were changed because of the understanding of how the Bible fits together with a purpose – to reveal Jesus.